2. After cleansing, spray it on approximately 20cm away from your face with your eyes closed. 3. When you feel your skin is dry, spray it any time. 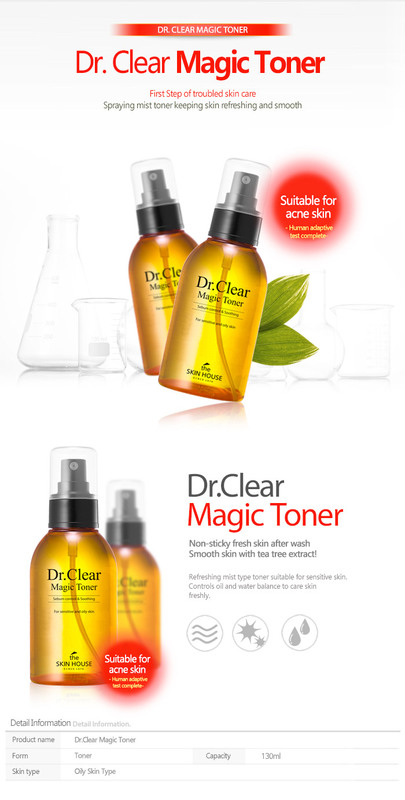 * You can feel the synergy effect by using other Dr. Clear Magic Line products together.